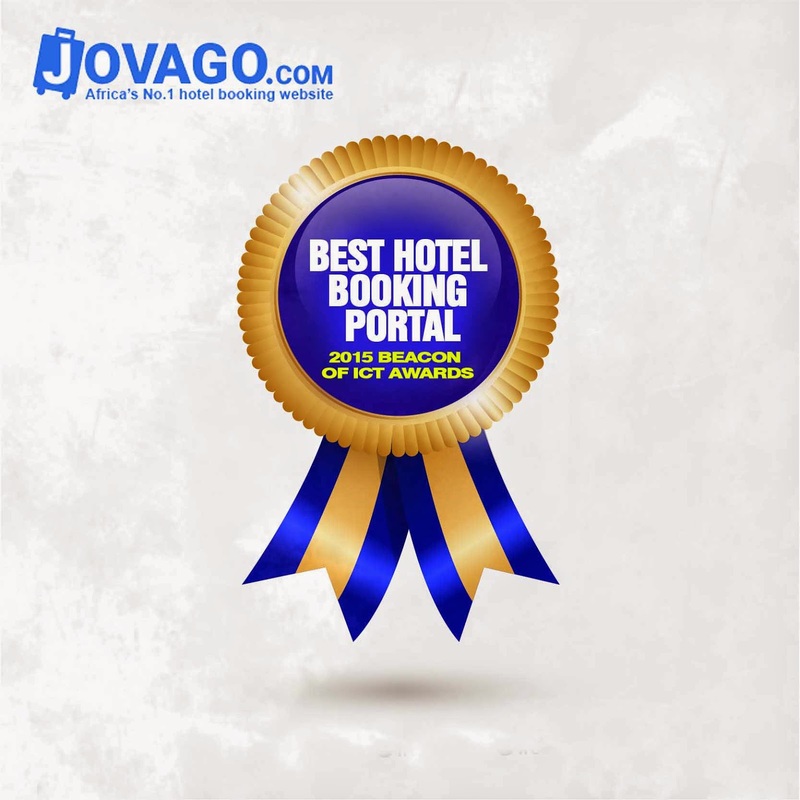 Africa’s N°1 hotel-booking website, Jovago.com has been awarded the Best Hotel Booking Portal of the Year at the 2015 Beacon of ICT (BoICT) Distinguished Awards. Organized by Nigeria Communications Week, the award is the biggest industry event that aims to recognize and reward companies who have contributed greatly to the country’s growing e-commerce field. The BoICT Awards is an annual ceremony which recognizes stakeholders, contributions and commitments to the growth of the Nigerian ICT industry. This year over 250, 307 Nigerians voted in the 46 categories with Jovago.com emerging as the clear winner of the Hotel Booking Portal of the Year category. The BoICT Distinguished Awards which took place on April 25, 2015 at the the Eko Hotels and Suites in Lagos had Executives from Telecom, NCC, NBC and CBN in attendance. Jovago.com won the award based on their efforts in helping to grow the travel & tourism market in Nigerian since its launch in August 2013. Jovago beat other Online Travel Companies like Wakanow, TravelStart and Hotelsng to take home the award as the best hotel booking portal in Nigeria. The e-commerce space in Nigeria keeps growing astronomically and the travel sector is one industry that has greatly contributed to this growth. Launched in 2013, Jovago.com has seen tremendous growth in Nigeria with over 7000 hotels already listed on the company’s website. Jovago has also reported a steady 5% week on week growth in its bookings in the past few months. The award was accepted by Jovago’s Head of Marketing and Public Relations, Chinelo Ngene on behalf of the Managing Director.